Over the past several weeks updates to this blog have been regrettably sparse. I’ve been laying the groundwork for two long-term projects (both China related) and have unfortunately only had time to juggle so much. But I can now happily announce one of those projects. 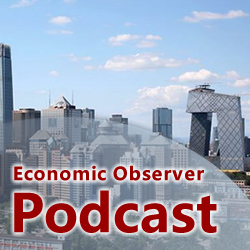 From now on I’ll be hosting a regular podcast at Economic Observer where I chat with people doing interesting work in China. It will be a bit different than the content on this blog. In keeping with EO’s general content, most guests will be business-related; from execs at multinational corporations down to mom and pop startups (whom I find equally interesting). But I’ll certainly have occasional politically and socially-oriented guests. For instance, I’ve already recorded an episode with Daniel Bell, where I ask what was up with those recent op-eds in NYT and CSM. The premise will usually be to explore how these people ended up in China and how they’ve tried to navigate China’s consistently inconsistent market. But it’s also meant to look at the wider industries/fields that the guests are part of; altogether lasting about 15-20 minutes. In the first episode I speak with an internet security consultant turned Beijing’s first microbrewer. We talk about the countless roadblocks involved with setting up shop, whether the dream is dead for young people trying to do business in China’s increasingly foreigner-unfriendly market, and finally discuss China’s wider alcohol industry. That episode and all future ones can be downloaded here. Some of the other tentative guests I’ve lined up are a green urban planner, a film director who’s done a US-China co-production, the man who oversaw the NBA’s expansion in China from 2003-2008 and is now trying to bring Ultimate Fighting Championship (UFC) to the country, and a guy who started a magazine, a guitar shop and plays in a Beijing Beatles cover band on the side. As you might imagine, I’m not an expert in any of these fields. I don’t intend to make podcasts that are figure-heavy or full of content that would only interest businessmen. I’ll try to make them smart, but accessible and story-oriented. As I mentioned, I’m also in the early stages of another big China project, but I’m a LONG ways away from announcing that one. As far as this blog goes, I’d love to pretend like the frequency of updates won’t be affected, but it already has been. This is a one man operation, so I hope you’ll understand if there’s a slightly less steady stream of updates for a while. Recently I got a call from a friend offering me an interesting day job. She wasn’t clear on the specifics but it had something to do with businessmen and she assured me I wouldn’t have to do anything seedy. Foreigners in China often get offered these kinds of mystery jobs where you don’t really know what you’re getting into until you’re halfway through it. But they’re usually at least good for some entertainment and writing material, so I agreed. I was whisked away in a Mercedes to the Diaoyutai Guesthouse – a government compound where foreign dignitaries stay and meet with top leaders like Hu Jintao and Wen Jiabao. It was for a social networking company to formally announce its plan to go public on Nasdaq. They were pulling out all the stops to impress the investors. As I somewhat suspected, my job was to sit there and be a white guy. Sketchy, yes, but I was just happy they didn’t expect me to pretend I was part of the company or an investor like many of these white-guy-in-a-tie jobs do. I just had to sit and be foreign to enhance the prestige of the event. But the prestige didn’t stop with me. The Diaoyu guesthouse must cost a small fortune for private companies to rent out. Everyone in China has heard of it. The investors lined up to be photographed next to the podium bearing the compound’s name. There were cameramen and reporters from several of China’s major media agencies, but I find it hard to believe they had any real interest in covering the event. This was just some two-bit social network that will never compete with the established juggernauts. The ceremony itself was an excruciatingly ordinary chain of executives giving each other face and making flowery speeches. It’s quite common in China for companies to pay reporters to show up and cover their event…even if there’s no intention of actually airing any of the material they get (that costs extra). Photographers conspicuously snapped away hundreds of pictures of the executives and, during the three minute question & answer period, two journalists were called on to lob softball questions at the panel. But the investors came away with a lot of face and confidence in their investment. The number of people who will actually purchase shares on Nasdaq remains to be seen. It was reported last week that a Chinese cave somehow managed to get listed on the New York Stock Exchange through a series of backdoor schemes. 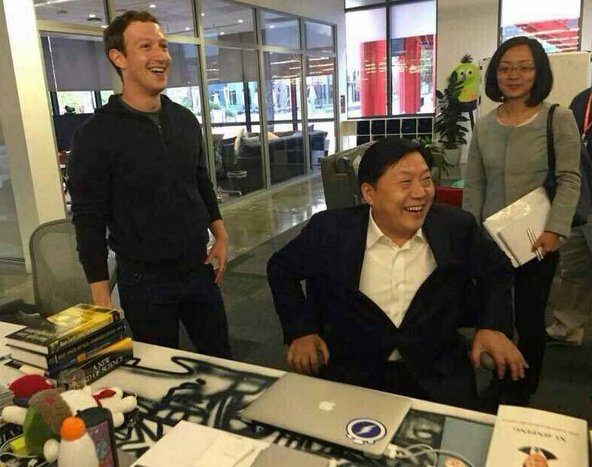 The lengths and expenses some companies go to in order to bestow prestige and recognition upon themselves in China often goes to a Loony Tunes level of absurdity. I have a little more hope for this company to make a ripple in the stock market than I do the cave, but not a lot. I can’t say I know anything about this company, but I couldn’t help feeling a bit guilty while wondering how much the crowd, largely rich middle-aged Guangdong housewives, actually knew about “the internet industry.” I wondered how much my presence was contributing to China’s .com bubble (or rather, .cn bubble). And how many companies routinely put on shows like this wooing investors who, like Japanese of the 1980’s, think this rocket ship of economic growth will keep soaring forever. Perhaps the most distressing thing I thought about while watching was how many Chinese Enrons there might be out there. How many companies are already seeing cracks, yet will keep aggressively pushing for investment until the house of cards comes crashing down? I don’t know, but I’ve decided to cool it for a while with these mystery jobs. Last week the US senate passed a bill aimed at punishing China for currency manipulation with tariffs, which is stupid for a number of reasons, but I want to talk about the underlying narrative that springs up every election cycle in Washington: Those cheating abusive Chinese commies are stealing our hard-earned American jobs! On average you can hire seven Chinese workers for the price of one American. I’m a proud American, but if one of us loses a job to seven Chinese, I don’t see much problem with that; especially when you consider a few other things. 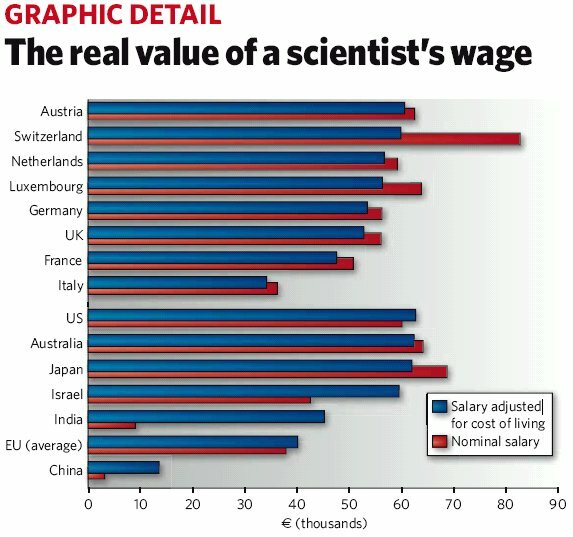 That average Chinese worker making $3.10 an hour probably didn’t just waltz over to the local car factory. Odds are she left her entire family behind to work in a distant manufacturing hub like Dongguan or Wenzhou where she lives in a dorm and sends the bulk of her paycheck back home to support her child and parents, whom she’ll be lucky to see once a year. She might work 10-12 hours each day, maybe taking only one day off per month. Say what you will about human rights, but this is usually by choice. If she’s already this far away from home, there’s no sense wasting time. She wants to work as much as possible. So she’s happy to ignore overtime regulations if it results in more hours. And she’s very grateful for this job. It gives her far better prospects than she’d have back home. This doesn’t just apply to factory workers. Ask a random waitress or cleaning lady in a big city like Beijing. Chances are they’re not from Beijing and they have a similar situation to the factory worker. How many laid-off Ohio workers do you imagine would be willing to leave their family behind and move to Florida to live in a dorm and work at a waitressing job? You can point to abusive working conditions, defective products or intellectual property theft. These things certainly exist, but they’re more a shameless excuse for protectionism than they are a significant detriment to America’s economy. They’re no justification for boxing out all Chinese manufacturers. And yes, China manipulates its currency, but it has appreciated 20% since 2005. And no matter how much it appreciates, it won’t even out the mammoth manufacturing cost imbalance. People like Mitt Romney are pushing the American victim of red China narrative because it’s what Americans want to hear. Telling them the truth would be political suicide; that their previous lifestyles were superficially inflated and that they need to brace for permanent sacrifice and dramatically lower their living expectations. There are plenty of things the US government can do to make the country more competitive in education and clean energy that don’t need to resort to protectionism, but ultimately it’s on Americans to accept the tough reality of having to sacrifice more for less money. The global playing field is balancing out. For emerging economies like China’s, that means an upswing in quality of life. Unfortunately for the US, it means a fall down to the world mean. When viewed objectively, that’s not a bad thing.